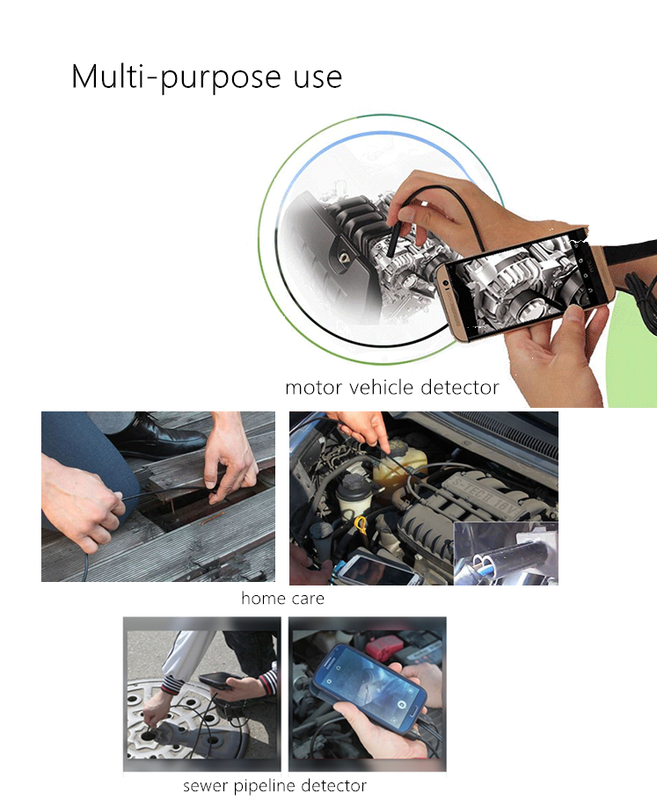 This endoscope is for Android, you can take photos, sound recording as well as videos. All file will be stored directly on your Android phone, recording the whole process. Easy to observe and track analysis, there is a wheel button for adjustment. The brightness of the 6 LED lights makes some areas work brighter. 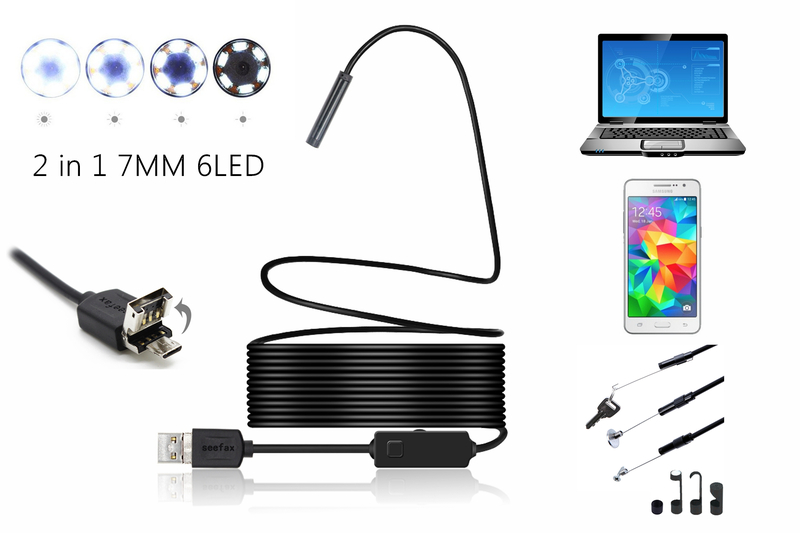 IP67 Waterproof camera, With 2 in 1 micro USB USB cable, can also be used for computers.